Tracy Morgan has a ready answer when asked about getting a second chance after his near-fatal crash three years ago. In 2014, the former “30 Rock” and “Saturday Night Live” star suffered severe head trauma when a truck slammed into the back of the limo van he was riding in. Comedian James McNair, his friend and collaborator, was killed. Morgan said his brush with death had a profound effect on him. That includes the kind of sitcom he’s doing. In “The Last O.G.,” Morgan plays an ex-con, Tray, who finds the life and the Brooklyn, New York, neighborhood he left behind is gone. Morgan has surrounded himself with a strong cast, including “Girls Trip” breakout star Tiffany Haddish and Cedric the Entertainer. 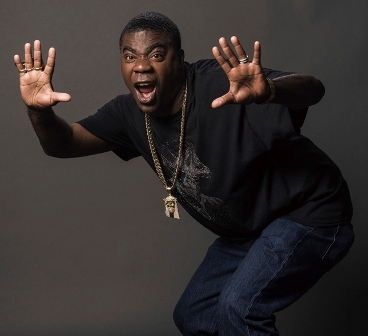 Why didn’t he just go with a “Tracy Morgan Show” that gave him all the laughs? He indicated the physical effects of the crash may not be entirely in the past, saying people around him on set makes sure he takes regular breaks during the workday. “The Last O.G.” co-stars Haddish as Tray’s ex-girlfriend, Shay, the mother of twins he didn’t know he had. In the 15 years he was imprisoned, Shay moved on, marrying a successful man (Ryan Gaul) who is helping raise the children. Gaul’s character is white, and Morgan said the sitcom is deliberately inclusive. New York is home to more than black people, and all lives matter, he said.